Though we often wait until the full Download Update is issued before going into too much detail on the line-up for any given week, it's worth changing it up to confirm that North American gamers are in for a treat - Donkey Kong Jungle Beat (the Wii New Play Control version) is heading to the Wii U eShop on 3rd November, priced at $19.99. While the original GameCube version utilised the famous bongo accessories, this Wii iteration introduced analogue control for movement, with occasional motion controls using the Remote and Nunchuk. This is definitely a welcome arrival on the Wii U's Virtual Console, too, and the North American eShop will be the first to get this one - the wait now begins for those of us in Europe, Australia and New Zealand. We were big fans of this Wii version in our original review, and it's worth noting that the GameCube original was the debut project by Nintendo EAD Tokyo 'Group No. 1' - that team's second game was the outstanding Super Mario Galaxy. There'll be another new arrival on the Wii U Virtual Console in North America this week, too, with DS title Mario Hoops 3-on-3 arriving for $9.99. Are any of you North American Wii U owners tempted by these arrivals? OOoooooooh, first VC release I've been excited for in a while. Definitely one of my favorites on the Wii. This game is really REALLY fun! Er...okay, I'll give this a try. Was actually curious about it. Overpriced! It's a great game though and was a bobby-dazzler on Gamecube. @SLIGEACH_EIRE It seems you think everything's overpriced. I hope there's some NES and Gameboy VC on 3ds tomorrow. Need Double Dragon 3, Star Tropics 1 and 2, Belmonts Revenge and Castlevania Legends. @Decapre You could say its... Barrels of Fun? I didn't realize the Wii controls were changed so much. I enjoyed the Gamecube version and might have to give this if the Canadian dollar improves and games go back to regular prices. $19.99 for these is good, but the nearly $30 they cost right now is a little high for old games. @Mega_Yarn_Poochy No, but it is a fact like most of the Wii VC games on Wii U. You can buy it on Wii physically for less than half of this price. It was the same with Wario a couple of weeks ago and many of the other Wii games before it. There's the odd exception where Metroid Prime Trilogy at launch was €10 and that was a bargain but generally it's been a rip-off. Not to mention they do very little work on Wii games, it's mainly just a file dump in Wii mode of the console. Nope, its thirty dollars. It will be $19.99 on the American eShop, it will be $28.79+ tax on the Canadian eShop. Well, between this and "New Play Control Pikmin," it's almost like we're getting GameCube Virtual Console! ...Sorta. Ah well, Switch won't fail to deliver the GC goodness, right? @SLIGEACH_EIRE "Bobby-dazzler?" What is the meaning of this word I'm guessing is some kind of European slang? @Not_Soos It means it's excellent and good looking. It's actually more an English term. @SLIGEACH_EIRE I agree it seems a bit pricey for its age and popularity, not sure if I would even play it for as many hours as I payed for it. @RetroRider Ya, true, I forgot that. It's a very short game too. It's takes about 5 hours to beat the main story or 10 hours to complete everything. The list of games that Europe has but NA doesn't have is shrinking! Sweet! Can't wait to try this out again! Loved playing this game back in 2009. Wish it was cheaper, though. Never got this game, I'll get it at some point down the line. This is great, I never got to play the GameCube (or Wii) version before so I'll definitely get it now I have the chance to. @Gamer-Jay I don't get why people say this or are willing to pay more than is necessary. You've had a "chance" for years to play this on Wii U. Check out Ebay and pay less than half. And when you're finished or don't like it, sell it on and recoup most of your money. Or keep it, it may increase in value in years to come(that'll never happen with digital games). Lend it to a friend or family member if you like. You can't do this with digital games. It's cheaper on eBay and Amazon ... and it's physical ! @millarrp @Link41x @sevex — totally agree with you on current prices in Canada. Old Wii games are just not worth the nearly $30 they are asking and I'm refusing to buy them. Sounds like I'm not alone, and it makes me wonder if they wouldn't make more money in sales if they just stuck with the original $20 price. Hard to justify $30 for a digital VC game DRM'ed to your physical machine when disc versions of most Wii games can be had for a small fraction of that price. I can understand adjusting prices for currency exchange on new retail games, but I don't understand why they do it for Virtual Console. I'd also note that the Canadian price of SNES on New 3DS is also silly. Although I was originally excited for SNES VC to come to 3DS, I'm pretty disappointed they decided to inflate the price from $8 (as it remains on Wii U) to $11.29. I've already bought most SNES games I want on Wii and Wii U, and I refuse to buy them YET AGAIN at inflated prices on 3DS. @Link41x That's $21.66 in USD according to the Bank of Canada. I just can't see how anyone could justify buying this digitally until Nintendo announces if these will transfer to switch. @RoboBubble We've gotta join forces and let Nintendo know we won't stand for this! PSN games aren't more expensive in Canada, and I don't think Steam games are either. And like you say, I'll pay a bit extra on a brand new game, since otherwise people will just import all their new games from Canada, but on digital copies of old games, we should just pay the original price. My income doesn't increase when the Canadian dollar tanks, so why do they think I can suddenly blow more of it on low-priority game purchases? TL;DR: If Wii games on Wii U were $20 in Canada I'd buy at least three of them right now. 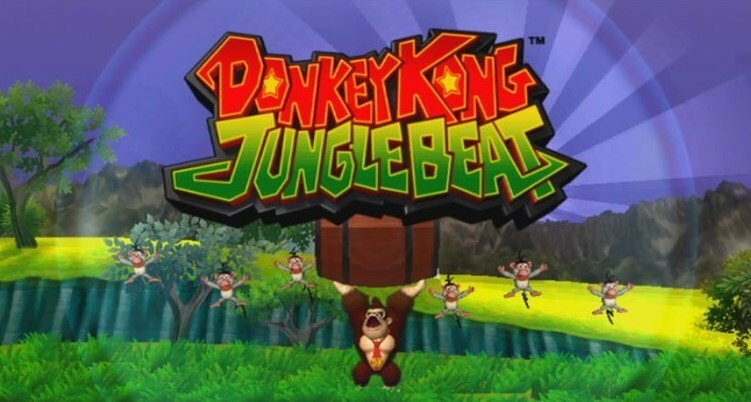 @Captain_Gonru This game was great all those years ago with the bongos on Gamecube. I can't imagine paying $20 for it now without them. I still have the game and bongos but no Gamecube. Now I have to go try it on my Wii, I think it worked on there. Great game, but yeah you can get the physical version for cheaper now. @Captain_Gonru 5 sets of bongos? Even I would have shook my head at you. Great story though. I bought my nephew a set when I gave him my Gamecube, so yeah it must have worked on Wii. Never did play DK2. Oh well. Great game but I prefer to play with bongos. I still own this. I like the gamecube one better. Those drums were fun. I don't know why I bought them. Was there another game that it was comparable with the drums ? No Breath of Fire was the last VC on 3ds. Ugh, i would much rather have F-Zero X like the European e-Shop. NoA really knows how to mess up Virtual Console releases. @Captain_Gonru How did you write that 41 minutes ago when it only got good 3 minutes ago? I never played the Wii version, but the gamecube version was such an empowering game, I felt like a beast pounding those bongos. the pattern seems to be $2.50 per gen rounded up. And this is according to their own overpriced rules. They should really have sales to move those unloved VC games. I'd buy some of those oddball ones for $1 even offer them as MyNintendo rewards... what's the deal NOA? Nintendo seems to have forgotten that there are so many NES and SNES titles that have never seen a VC release. N64, to boot. Remember the good old days when we thought they'd give a hoot enough to release Gamecube VC titles? Oh... oh, we were so naive. I managed to get a physical copy in almost new condition earlier in Jan/Feb this year for a decent price. Have to try and play it again sometime since I only got to test how it worked with Wii controls. Really fun game. It's not as good as DKC, and if you expect something like those games, you might be disappointed. But as its own thing, it's a lot of fun, and I love the combo system. I feel it is kind of underrated, even though it is pretty short. Amazing game, I have a lot of memories of it, starting with playing the first level on a demo stand with a friend and instantly picking up that big box right beside it, going home, and playing it WAY too much. Best use of one of the most seemingly-single-purpose controllers ever. The bongo version is easily one of my favorite GameCube games but I despise the Wiimake. It destroys the fun (and challenge) of the game. Never tried it. I'll add to my list of wii games to download when I buy a new SD card! I wish these wii games were prices a little lower to make up for the cost of necessary external storage due to the very limited internal storage. @Captain_Gonru Have I mentioned how much I enjoyed those bongo controllers ; )"
You and Harvey should be right at home in the AC:NL:Wa RV camp. Never got to play this one. Will pick it up. 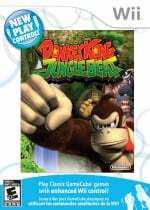 I enjoyed this game on GameCube with the bongos, but I think I'd enjoy it more with a joystick so maybe I'll sell the disc and download it. Cool, it's another Wii game I never picked up during my Wii years. I'm assuming a UK release won't be far behind. @Captain_Gonru I went to a drum circle once. I think. Late 80's or early 90's. Back in my Martha Graham modern dance days. Grad school in sociology after my Jack Kerouac On the Road cross country trip. '85 thru '95 is kind of hazy. Nice to see this underrated GCN/Wii gem. Regardless, I'm getting a li'l tired of seeing nothing, but DS or Wii games on VC lately. I'd like to see something different, or at least a third-party DS game. @Captain_Gonru Six?!?! Yeah, that's not good. I'm sending my wife to the NY store Friday morning, hopefully they have some left after the midnight opening. @Captain_Gonru Looks to be the case all over. I asked my wife to stop in the NYC store on her way to work but she starts at 8:30 and they only open at 9. They already ran out of extra controllers.